In February 2013, The Kitchen Sink Collective made their début at the Perth Fringe Festival, where they invited 6 Australian playwrights to collaborate on the project, Lifted! 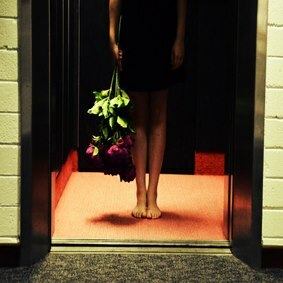 The writers were given the brief: write a 10-minute play that includes a lift in the Bankwest Tower and a bunch of flowers. These simple instructions inspired a quirky and exciting collection of short plays which were presented as one truly ‘lifting’ production. Lifted formed an amazing synergy of talented actors, directors, writers and performance makers, that highlights the dynamic between scripted work and the spontaneity of improvisation explored during the rehearsal process. This startling production that the Kitchen Sink Collective brings to the Perth Fringe 2013 will uplift and inspire you… to take the stairs!